I have really become passionate about interior design over the last few months, so it was really fun to partner with Kohl’s to give this room a much needed makeover to prepare for our holiday guests over the next few months. I upgraded the mattress to a King, and also got a new bed frame to match the rest of the room! 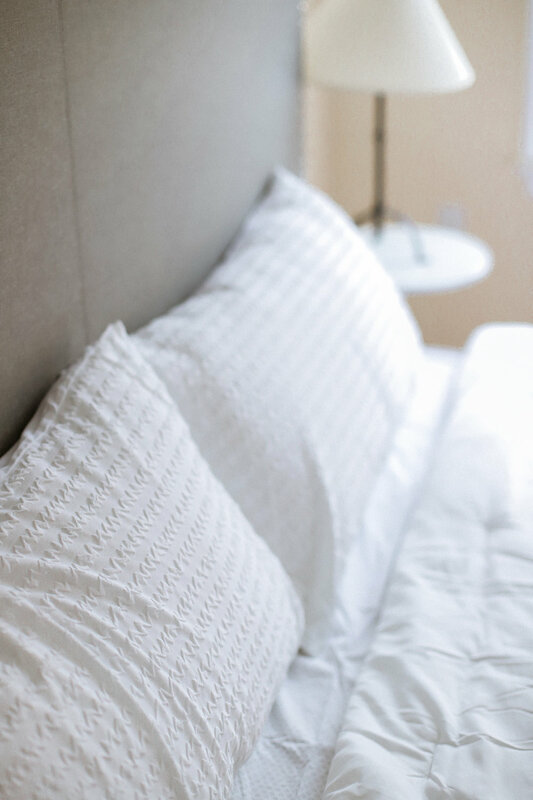 When it comes to winter bedding, I love neutral colors with soft patterns. This room is what guest bedroom dreams are made of! I’m so glad I decided to go with The Big One’s 8 Piece Pucker Stripe Bed Set! The texture of the comforter is so cozy and the gray tones in the sheets match my bed frame perfectly. I also picked up two Serta Alternative Down Pillows - and they are the best pillows that I have ever owned! 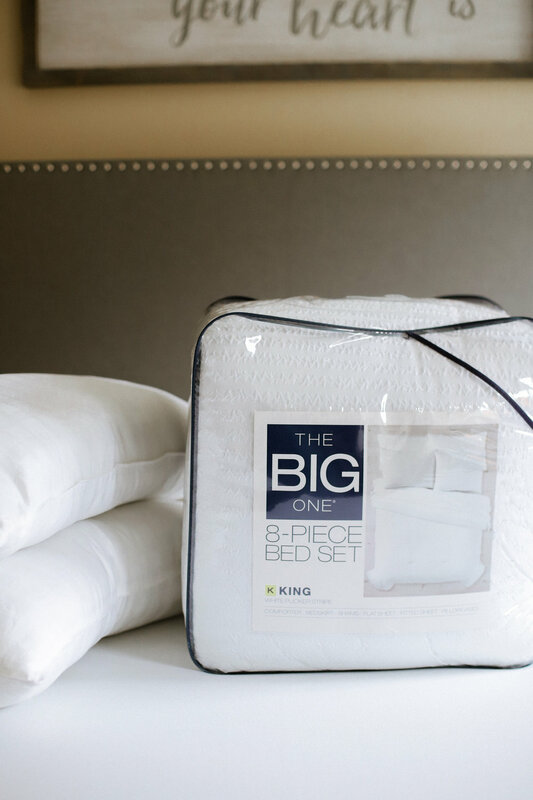 Right now, Kohl’s is having a HUGE sales on bedding from my favorite brands like Columbia, The Big One, CuddlDuds, and Serta. The sale runs from 11/7-11/18, so hurry!